When it is hot outside, the last thing you feel like doing is turning on the oven or cooking over a steamy stove. While you may have packed it away after last winter, here are some compelling reasons to pull the trusty old slow cooker back out for summer. You start it and walk away which means more time for getting to the beach and doing all those other important things you have to do. It also means that the dinner time rush is eliminated because the food will be ready to go. The slow cooker’s heat is low and contained to the machine so it doesn’t heat up the kitchen or the rest of the house. 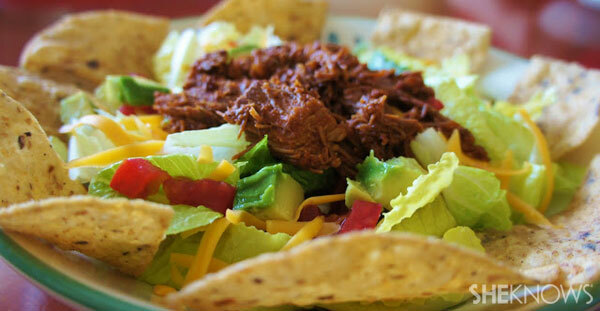 You can bring the crockpot with you to a social gathering so it is easy and ready to go. If you are hosting, it means you have more time to spend relaxing with your guests instead of cooking in the kitchen. The slow cooker not only uses less energy than an oven or microwave, it also uses cheaper cuts of meat and tenderises them beautifully. 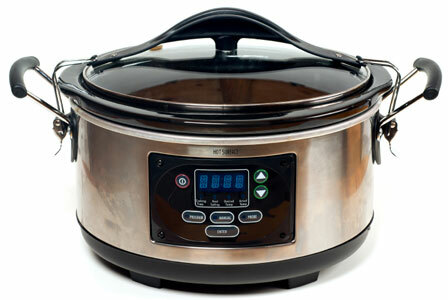 The question is not what can you cook in the slow cooker but what can’t you cook in one? From breakfast to dinner, appetisers and even sauces, the slow cooker is a one-stop shop for cooking. Karen Peterson of 365 Days of Slow Cooking is such an advocate of the slow cooker, she set out to use the device every day for a year. While I definitely recommend checking out her website for further inspiration, here is a sample of a few of her tasty summer meals, just in case you aren’t convinced yet. A lazy Sunday brunch with friends can only be enhanced with this delicious and easy spin on French toast. Cut up the bread into cubes. In a small bowl, whisk together the eggs, milk and cinnamon. Place two slices of the cubed bread in the bottom of the slow cooker. Pour half a cup of egg mixture over the bread. Add two more slices of bread. Pour another half cup of egg mixture over the top. Add the final cubes of bread and the final egg mixture. Push down the bread so that it is all moist. Cover and cook on high for two hours. 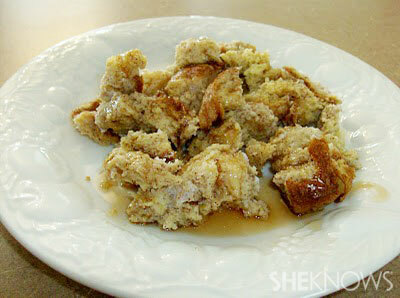 Spoon onto a plate and drizzle with maple syrup and serve. Make this tasty meal on the weekend and you will have lunch ready to go for the rest of the week. Place chicken in the slow cooker and top with water and bouillon. Cover and cook on low for about four to six hours. Remove the chicken and shred or cut it into small chunks. Place the chicken back in the slow cooker and top with the dressing, Parmesan cheese, diced hard-boiled eggs, bacon, parsley and salt and pepper to taste. Stir until combined. 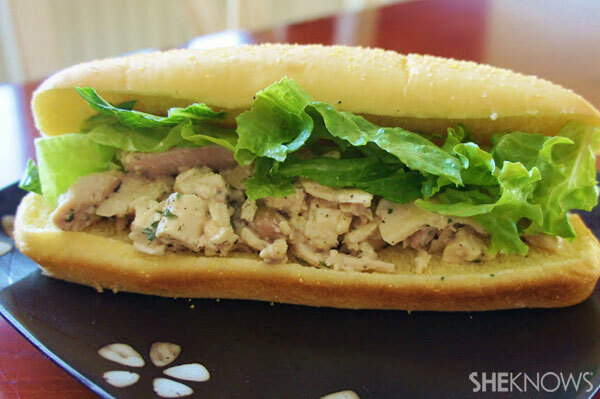 Serve the chicken over bread and top with lettuce. A fresh take on a family favourite meal, try this deliciously tenderised meat on a salad of crisp vegetables and corn chips. Place the halved roast in the slow cooker. Sprinkle liberally with kosher salt and pepper. Place onions around the roast. Pour enchilada sauce over the top. Cover and cook on low for 7–10 hours (depending on your slow cooker). Meat should be falling apart. Remove roast and place on a cutting board. Shred. Remove onion chunks and discard. Pour juices into a separate bowl. Place shredded beef back in the slow cooker. Pour the desired amount of juices back onto the meat. Stir in the tomato paste, Worcestershire and garlic salt and pepper to taste. Serve over salad with your favourite toppings. (You can also serve this meat with tacos or burritos). Yes, the slow cooker can even produce amazing desserts. 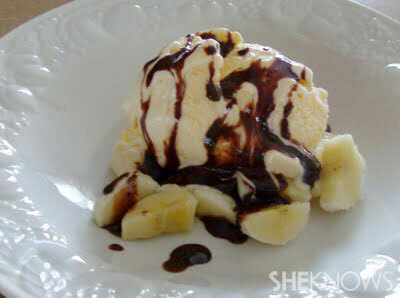 Try this sinful chocolate fudge on your next banana split sundae and have everyone coming back for seconds and thirds. Dump the chocolate chips and the sweetened condensed milk in the slow cooker. Cover and cook on high for one to two hours. Stir until chocolate chips are melted and the consistency is smooth. Add in the milk one tablespoon at a time, to thin out the sauce, if needed. Convinced yet? Your cooking options for summer have just expanded exponentially, minus the stress and fuss. Happy slow cooking.